What will the future of artificial intelligence actually look like? We're getting some clues already from projects like Hiroshi Ishiguro's Geminoid series with its incredibly realistic bodies, writes my friend Dennis Cass at io9. But we're also seeing hints of what real-life androids won't be like. In a post last week, Cass talks about some common fictional tropes that have shaped our expectations of androids, but probably won't be present in the real thing. We flatter ourselves: A machine could never understand jokes. Then IBM's Watson uses natural language processing to understand the punning intent behind Jeopardy! questions, and we're proven wrong. If anything, the android will see us more clearly than we see ourselves. Jeremy Bailenson, director of Stanford's Virtual Human Interaction Lab, used the Xbox Kinect to analyze body language during student-teacher interactions to "mathematically uncover subtle movement patterns, many of which would not be noticed by the human eye." Psychologist Paul Ekman has discovered the "micro-expressions" the human face flashes during a lie-if facial recognition software can read it, then the android can know it. 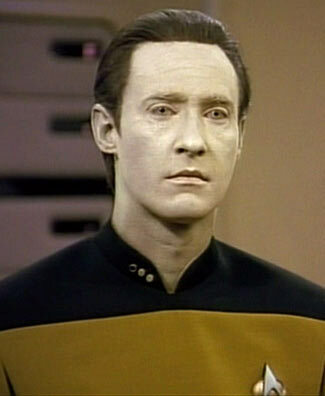 Ultimately, as "big data" gets bigger we'll ask ourselves what we want our androids to share. Do we charge them with stopping us from making bad life decisions? Or do they help us maintain our innocence? Fiction has its Rikers, the wise humans who preside over the sentient machine, often with a whiff of bearded condescension. Maybe the android will be the one who wears the bemused smile. Meet the other five androids that will never exist in Dennis Cass' full post on io9.